Mega Sale! 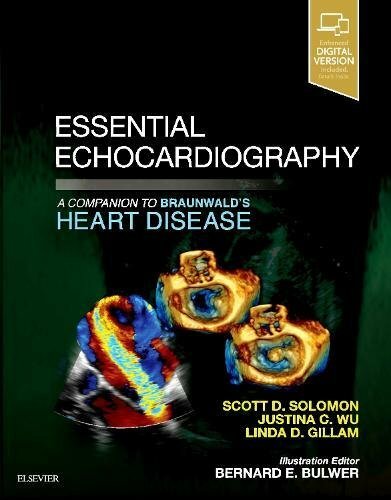 Save 26% on the Essential Echocardiography: A Companion to Braunwald’s Heart Disease by Elsevier at Diseasome. MPN: 49470595. Hurry! Limited time offer. Offer valid only while supplies last. Echocardiography remains the most commonly used imaging technique to visualize the heart and great vessels, and this clinically oriented text by Drs. Echocardiography remains the most commonly used imaging technique to visualize the heart and great vessels, and this clinically oriented text by Drs. Scott D. Solomon, Justina C. Wu, and Linda D. Gillam helps you make the most of its diagnostic and prognostic potential for your patients. Part of the highly regarded Braunwald’s family of cardiology references, Essential Echocardiography expertly covers basic principles of anatomy and physiology, the appearance of normal variants across a wide range of cardiovascular diseases, and the hands-on approaches necessary to acquire and interpret optimal echocardiographic images in the clinical setting. If you have any questions about this product by Elsevier, contact us by completing and submitting the form below. If you are looking for a specif part number, please include it with your message.